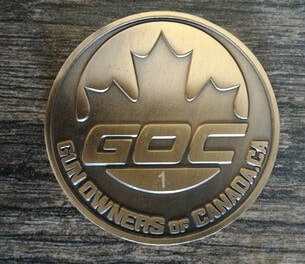 GOC has decided, after many many requests to release 20 coins for sale to the public. Only 20 will be sold, the rest are still being given away to the membership. Note: purchased coins can not be traded in an extra entry into a giveaway / contest or traded in for product. No Guarantee to any numbered coin, GOC will try to accommodate but may not be able to, if already sold. Last edited by jwirecom109; 04-02-2019 at 04:28 AM. We have several coins left if your looking for an after christmas gift for yourself. yes it works just fine.... and this isn't for the application, there is another thread for that. Buy it for: $60.00 - 33% off! !